At its height, the mill was a major operation and large scale employer in the area. The following first-hand account illustrates this. The mill resulted in tremendous growth of Yellow Walls. 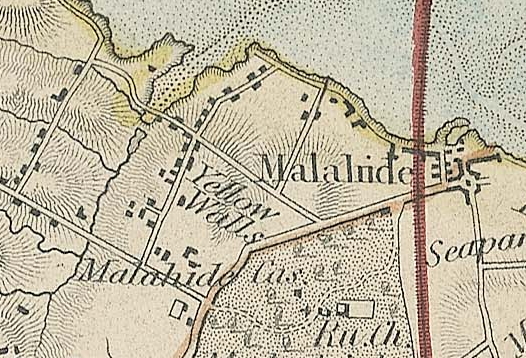 Rocque’s 1762 map depicts Yellow Walls as a tiny hamlet. Some fifty years later, by which time the mill as a business was finished, it had grown to be bigger than neighbouring Malahide village. 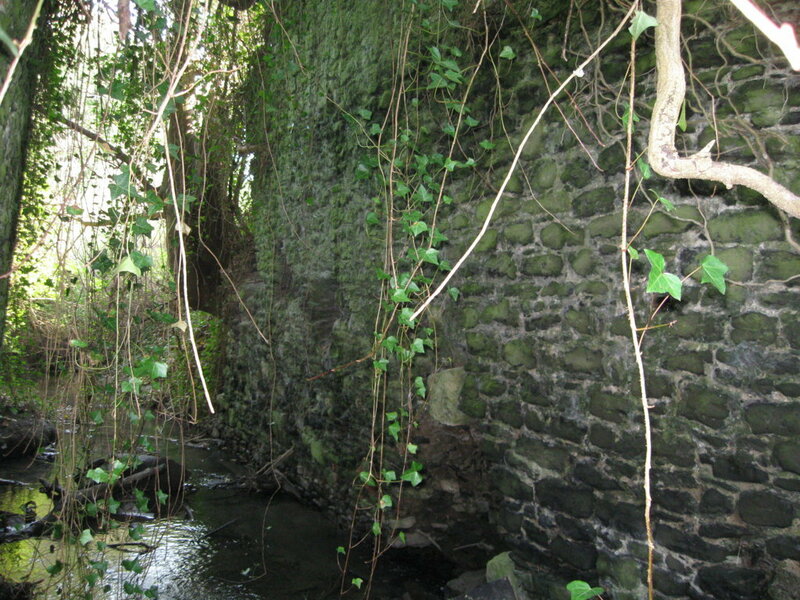 The description of the water mill as being “very ingenious” was no doubt necessitated by its situation on the Gaybrook stream. Looking at the stream today it is difficult to imagine its waters being capable of driving a mill wheel yet they did just that (there is also a reference to cotton being spun at the mill “…by a novel control of water.”4) In order to provide the required volume of water to drive the mill wheel, it was necessary to divert some of the Gaybrook stream’s flow into a man-made reservoir called a mill pond. The mill pond had a dam to hold back the water until it had reached a certain volume upon which it was released and channelled into a mill race which drove a water wheel, which in turn powered the mill’s machinery. 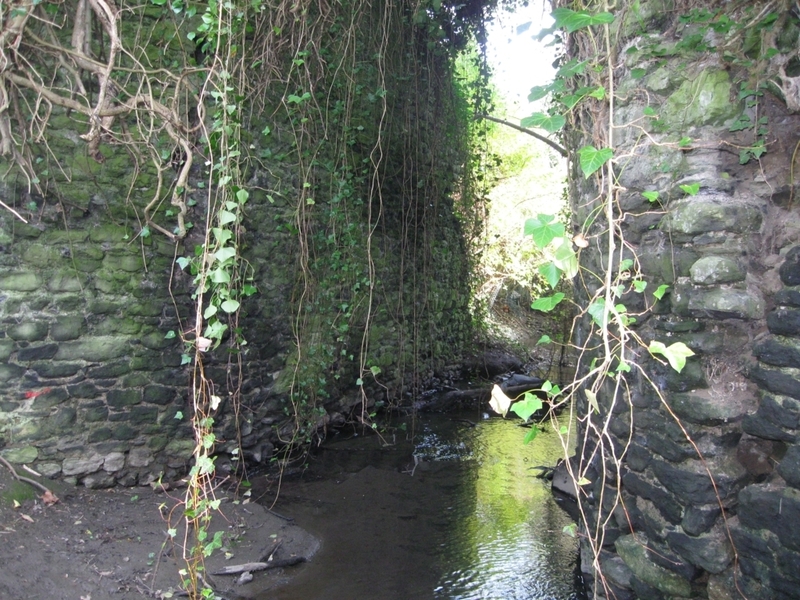 The mill race then returned the water to the stream. 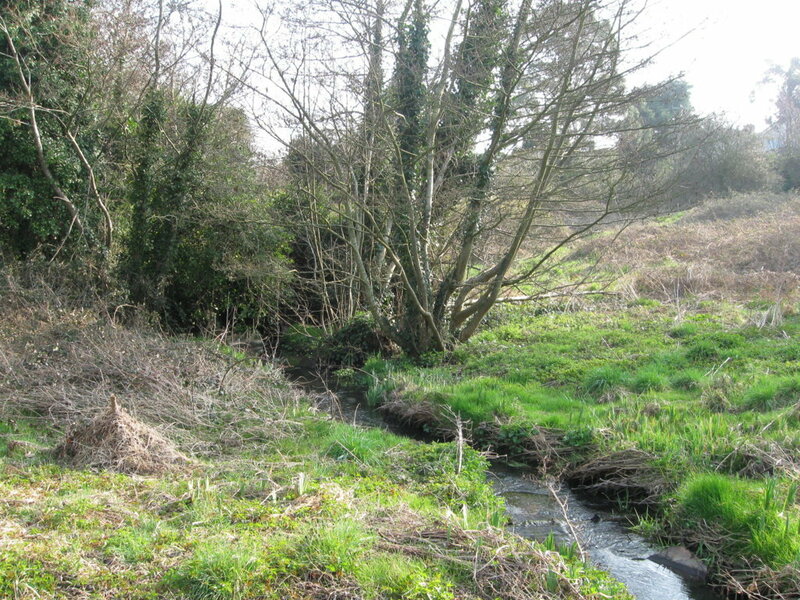 The mill pond occupied low ground between the present day housing estates of Millview on one side of the stream and Killeen and Seabury on the other. The mill was an Arkwright mill5, named after Richard Arkwright, the inventor of the water frame. The water frame was so named because it used the power of a water wheel to drive a number of spinning frames. The water wheel provided more power to the spinning frame than human operators, reducing the amount of human labour needed and increasing the spindle count dramatically. There may be images (e.g. drawings) of Talbot’s mill in existence but unfortunately there are none available to show here. The working life of the mill was short-lived – by 1800 it was finished. In its last few years of operation the mill was leased by Talbot to Andrew Reynolds, a Dublin poplin manufacturer (poplin is a ribbed or corded fabric such as silk, cotton or wool). 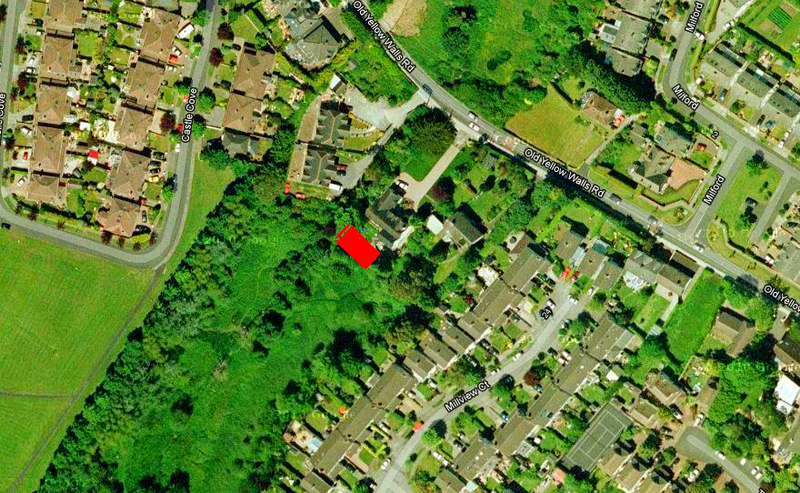 The premises consisted not only of an extensive building and appurtenances used in the manufacture, but also of a very excellent detached dwelling-house, offices, garden, and three acres of grass-land. A person named James Gaynor was hired from England to superintend the works, which, in a short time, produced the finest muslins, and employed several hundred persons, one-third of whom were children from eight to fifteen or sixteen years of age, principally females. Cotton mills were unpleasant and dangerous places to work. Even visitors weren’t safe, as this newspaper extract from 1787 shows.11 Image © THE BRITISH LIBRARY BOARD. ALL RIGHTS RESERVED. Source: The British Newspaper Archive. 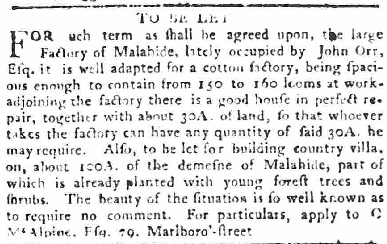 In 1806 the mill was again advertised to be leased – the newspaper extract below gives a good description of the mill, its associated buildings and its situation. Extract from ‘Saunders Newsletter’, 25 June, 1806, advertising the lease for the cotton mill. Image © THE BRITISH LIBRARY BOARD. ALL RIGHTS RESERVED. Source: The British Newspaper Archive. So why, ultimately, did the mill fail? There are a number of reasons. Another factor was the reluctance of Parliament to provide any additional funding to keep the mill in operation. Although it contributed to the expense of setting up the mill, it refused a second grant when the mill was struggling. After the mill closed it was put to other uses. In 1831, the parish priest of Swords, Father Carey, set up a school in the building but it too closed 10 years later (Malahide was part of the parish of Swords until 1941, when it became a parish in its own right). 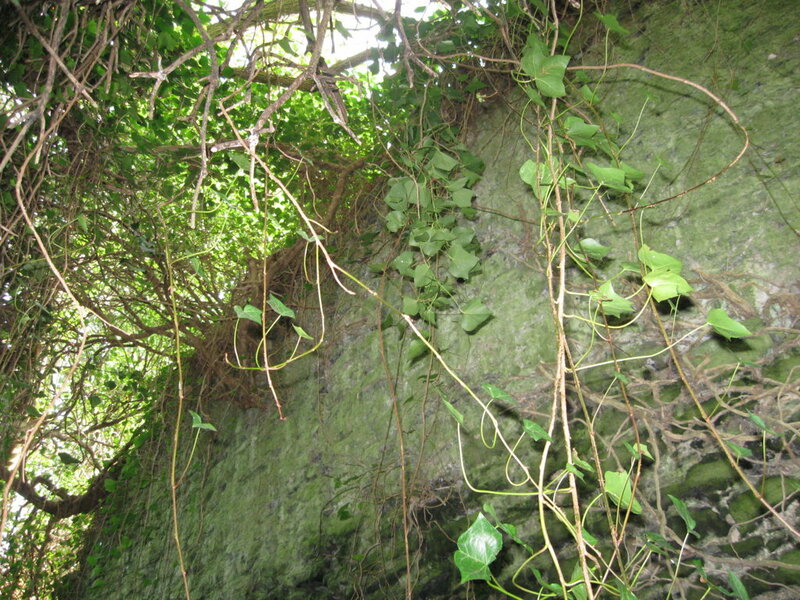 The mill arch and retaining bank are not on Fingal County Council’s list of protected structures but arguably they should be given they are a link to Malahide’s industrial past when not only the cotton mill, but a silk factory, salt works and cod liver oil manufacture thrived in the locality. *This map can be accessed at the Irish Virtual Research Library and Archive. 1. Little, George A. About Malahide. Dublin Historical Record, Vol X Nr 1, March-May 1948. 2. Minutes of the evidence taken before a committee of the House of Commons, being a committee of the whole house, to whom the bill for repealing the duties on tobacco and snuff, and for granting new duties in lieu thereof; was committed; Great Britain (1760-1820, George III). London, 1789. 3. D’Alton, John. The History of the County of Dublin. Hodges and Smith, 1838. 4. Sunday Independent, Aug 15, 1926. 5. Cullen, Louis M., Smout, Christopher T. Comparative aspects of Scottish and Irish economic and social history, 1600-1900 (1977). 6. Wilson, William. The post-chaise companion: or, travellers directory, through Ireland; To which is added, a dictionary, or alphabetical tables shewing the distance of all the principal cities, from each other. J. & J.H. Fleming, 1805. 7. Talbot Family Papers: Articles of partnership in the cotton mill at Malahide, 1791. Available on CD from Fingal Local Studies Library. 8. Reynolds, Thomas. The Life Of Thomas Reynolds, Esq formerly of Kilkea Castle, in the county of Kildare, by his son Thomas Reynolds. Milliken and Son, Dublin, 1839. 9. O’Neill, Patrick. An Macalla, No. 10, April 08, 1962. 10. Saunders Newsletter, 05 May, 1803. 11. Saunders Newsletter, 23 May, 1787.